Pakistan’s Interior Minister Rehman Malik, the civilian face of the country’s powerful military establishment is a continuation of the former dictator General Pervez Musharraf’s policies in Balochistan. He is the one who sanctioned and devised the policies of empowering Frontier Corp (FC), the Pakistani paramilitary, in Balochistan involved in enforced disappearances and the ‘kill and dump’ activities. The two recent dead bodies found yesterday, February 23, 2011 were identified as Mehboob Wadela of Baloch National Movement (BNM), disappeared from Karachi in April last year. The other body was identified as Rehman Arif’s, who was a member of the Baloch Republican Party (BRP) and was abducted four months ago from Gwadar bringing the total to 103 bullet-riddled bodies of missing persons over the past seven months. These two bodies show the blood lust of the Pakistani establishment. 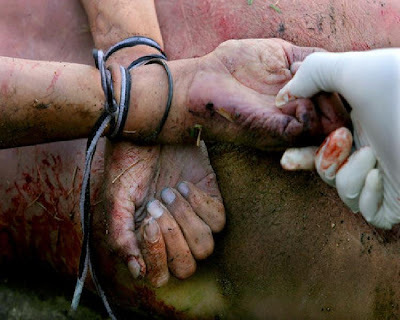 The body of Rehman Arif portrays the brutality of the Pakistan Army in which the eyes were poked out; tongue was cut off, arms and legs wrapped around each other in the agony of death. Both were shot at a point-blank range in the head, the bullet tearing away a line of flesh up from the forehead entering the brain. Both bodies have vivid crimson or black scars down the left side of their throats. This kind of brutal and horrific method of killings were not even witnessed in the medieval time, what Pakistani establishment has been applying against the Baloch innocent masses struggling for their legitimate rights. Pakistan’s Interior Minister Rehman Malik had already threatened the Baloch populace that until and otherwise Baloch will salute the flag of Pakistan this operation will not stop. This is the exact clone polices of former Dictator Musharraf‘s towards Balochistan. This so-called democracy even went one step ahead to save the strategic interest of Pakistani Army in Balochistan by introducing the bullet-riddled dead bodies. And not even a week passes by when Baloch mothers, sisters, and children are not being gifted with a mutilated dead body of their loved ones which are leaving life-long scars, both physical and psychological on the Baloch nation. Over 10,000 people have been made disappeared and over 1100 cases are registered with the United Nations Working Group on Enforced or Involuntary Disappearances (WGEID) by the London based International Voice for the Baloch Missing Person (IVBMP). These decomposed bullet-riddled bodies are only 1% of the total disappeared made by this "caravan of death", headed by the Pakistan Army. The grieving families are desperate to know about their loved ones. It is not hard to believe that Pakistani Security Establishment (ISI) had mutilated those bodies so horrendously that the only solution was to "disappear" the corpses and bury them into the history. The slaughter of the Baloch had started the day Pakistan occupied Balochistan in a military coup in the year 1948. The Baloch have seen more than six decades of suffering at the hands of this apartheid government. Once, a friend of mine told me that “Every time a Baloch is murdered, a bit of Pakistan dies”. The number of bullet-riddled bodies, which we are receiving, has turned Balochistan into a graveyard and has left no room for Pakistan to stay in Balochistan. And every Baloch heart is crying freedom from Pakistan’s brutal occupation. The Pakistan civil society and the ISI-backed spin media outlets shamelessly refuse to cover Balochistan, specially the issue of the missing persons, and try to divert the whole issue by the claims of the killing of non Baloch in Balochistan. The logic of civil society in Pakistan and of those who demand that Baloch should stop the resistance is absurd. The civil society absolves the aggressor and occupier - armed with the deadliest weapons of death and destruction of the responsibility, while blaming the victim, prisoner and occupied. And instead of being sympathetic with relatives of those mutilated dead bodies, a concerted effort is waged to trivialize this tragedy by calling it a plot of foreign forces to disrepute Pakistan. This is like rubbing salt to the Baloch wounds. For the last 63 years Baloch in Pakistan have been under siege, incarcerated, and sealed off from the rest of the world, air and sea, slowly genocide, bombarded homes, schools, no one is spared from Pakistan’s brutal death policies. This river of blood is being shed under lies and false pretexts. The collective punishment did not halt, but accelerated – as they brought the enforced disappearances and bullet riddle bodies. I don’t know why I remember the Australian independent MP Mr. Bob Katter. He said that Pakistan is long overdue for NATO intervention, and said that this intervention is inevitable and imminent. Mr. Bob Katter demanded that Australia should support NATO’s intervention into Pakistan. Pakistan has failed to contain the slow motion genocide of Baloch populace and hence the second step, the reaction to “large-scale loss of human lives”, is decisive. To prevent this slow motion genocide which is heading towards a large scale genocide we urge the International community to intervene in Balochistan and give Baloch masses the right to chose their own destiny. The Missing Baloch: The Tragedy of Zakir Majid. The International Day of the Disappeared on August 30 is an annual commemoration day created to draw attention to the fate of individuals imprisoned at places and under poor conditions unknown to their relatives or legal representatives. In Balochistan, since 2005 there had been more than 8000 enforced disappearances including women and children under the age of twelve years and currently over 1100 documented Baloch political activist are held in incommunicado by Pakistani Army. Balochistan is a Texas sized state occupied by Pakistan and Iran. This is the fifth uprising by the Baloch populace against the Pakistani Regime for Baloch nationhood. The day of June 8th, 2009, was the last time when the family saw Zakir Majeed. 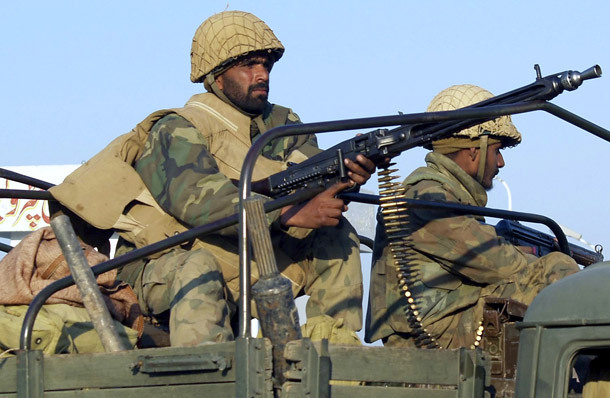 The security personnel of Pakistani Army in the presence of Zakir’s two friends forcibly abducted Zakir on a gun point and whisked him away from Mastung Balochistan to an unknown destination. Since then the family and the Baloch nation had no reliable news about Zakir’s fate. Zakir’s family and Baloch nation have been left at the mercy of the anguished torments and worse imaginations. Young and Vibrant Zakir Majeed is the Senior Vice Chairman of Baloch Student Organization (AZAD). Mr Zakir Majeed, a student of M.A in the University of Balochistan and a charismatic leader whose life was one of constant travel, moving from one town to another to organize BSO on the gross root level and educating the Baloch youth about the plight of Baloch Nation. Zakir continually expanded his organizational reach and was very effective amongst Baloch Youth. Mr Zakir Majeed is not the only one, according to Balochistan Based (VBMP)Voice for Baloch Missing persons and newly formed Sweden based International Voice for Baloch Missing Persons (IVBMP), since 2005 there had been more than 8000 enforced disappearances including women and children under the age of twelve years. According to IVBMP there over 1100 documented Baloch political activist who are victims of enforced disappearances, abduction, tortured and imprisonment incommunicado. 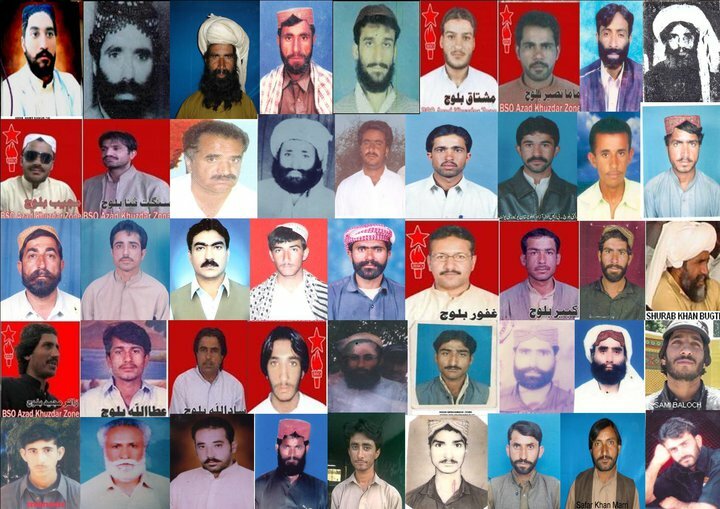 The Perpetrators of enforced disappearances, the Pakistani Army systemically executing the leading Baloch Intellectuals and leadership through its Securities Agencies, local paramilitary arm and its affiliated death squads such as Baloch Mussalha Defah Tanzeem, Sapah-e-Shuda, and Insar- ul Islam etc. It seems, the evil set design of Pakistani military establishment, to systemically eliminate Baloch leading political cream is entering into a second phase, where the nucleolus of the political parties, trade unions, journalists, doctors, teachers, poets, lawyers and student are being forcefully disappeared and within twenty days their dead bodies are found with the marks of brutal tortures. For the last few weeks the Pakistani Killing machine had intensified and Baloch are shocked over the extreme cases of execution of the political workers, while the said victims were the victims of enforced disappearances. Almost every victim has bullet holes in their heads. This week two political workers’ bullet-riddled bodies, later on identified as Mohammad Omer Baloch and Arz Mohammad Pirkani, both resident of Quetta, Balochistan were found. According to the families of these innocent victims, both were abducted 20 days ago by the Pakistani intelligence agencies. This brought the total into 14 into two weeks. This despicable and cutthroat set plan is outright genocide. These illegal acts against Baloch nation is set in the context of Pakistani repression, demonstrating that Pakistan’s election to the UN human rights council is far from being deserved. Zakir Majeed, Ehsan Arjmandi and Din Mohammad Baloch’s case were picked up by Asian Human Rights Organisation(AHRC) and were submitted to the UN Working Group on Enforced and Involuntary Disappearances (WGEID) and to the UN Special Rapporteurs on Disappearances. http://www.ahrchk.netstatementsmainfile.php2009statements2400/. On August 07, 2009, Mr Ehsan Arjemandi , a Norwegian Baloch Human Rights Activist , was forcefully abducted by the state intelligence services while Mr Arjmandi was on a visit to his mother in Balochistan. This victim of enforced disappearance was picked up in front of several people by the security personnel on a gun point in a car with registration number ADN6928. On July 25, 2010, in an interview to a Norwegian journalist the Interior Minister Reham Malik blatantly agreed to Mr Arjmandi’s arrest. Since 2009, this is the first time that Pakistani establishment had agreed to Mr. Arjmandi’s arrest. 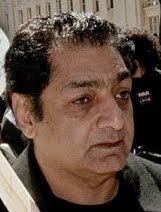 During all this time Mr. Arjmandi was never produced to any court of Law. He is in prison in incommunicado. This completely manifest the mindset of Pakistani establishment towards the Baloch enforced disappeared political workers. Following link is the interview of the Journalist with Pakistani Interior Minister Rehman Malik. After the brutal discredited military regime of Retired General Musharraf, the Pakistan Army yielded power to a civilian government. Zakir Mothers hopes were temporarily elevated by the announcement of the civilian government that Mr. Zakir Majeed along with thousands of other disappeared political workers would emerge from the darkness of their secret cell. On January 22, 2010, after the UN intervention, Pakistani establishment announced Zakir Majid’s release and said he will be celebrating EID with his family. But there is only a terrible silence from the Government of Pakistan since then, the family is awaiting Zakir return. A week from today there is another Eid. Zakir’s Family is trying to raise the profile of the disappeared people in Balocistan, waged a token hunger strike which is entering today into his 109th day. The health condition of his mother is worsening due to the constant crying and waiting for his sons. The family approached the government’s authorities to locate Zakir’s whereabouts, filed a constitutional petition in Balochistan High Court and in Supreme Court but Pakistani secret agencies work under no Law and are not accountable to any court of law and institution. It is suspected that Zakir had been killed by the security forces as they had done with other missing Baloch political leaders like Ghulam Muhammad Baloch and others. There is a saying in Balochi that Baloch mothers always gave birth to children with courage. Today, on the International Day of the Disappeared please join hands with Baloch against the atrocities of Pakistani Security agencies on the Baloch populace. Today, get together and cry freedom for the oppressed nationalities of the world. Today, come and scram along, with the family of disappeared Baloch to end all enforced disappearances and demand to reveal the fate and whereabouts of all persons subjected to enforced disappearance. Zahedan Hanged Khodayar Rahmatzahi 201001-? Taybad Killed 2 , unknown 200901-? Iranshahr Hanged Farshid Bamari , known as Mirzok 2006.07. BHRC calls upon the international community to intervene immediately in Balochistan againt the recent atrocities by Pak Army. Toronto, June 1, 2010 – Baloch Human Rights Council (Canada) expressed its deepest concerns over the new wave of gross human rights violations committed by the Pakistani army soldiers in the Makaran region of Balochistan. BHRC has learnt through local sources and press statements of Baloch National Movement (BNM) central leadership that within the last couple of days there has been a significant movement of Pakistani troops in the area of district Gwadar and Dasht. A heavy contingent of military including 80 trucks carrying soldiers, 40 armoured vehicles, artillery, 8 gunship helicopters, and 20 water supplying tankers are reportedly part of the first wave of troop deployment in the region. There is news of more troops on the way to join the military operation. Sources have confirmed that the Dasht townships of Zaren Bog, Mollai Negwar, Palani Bazaar, Ziarati, Hasadeg, Hor, Chateg, Doro Kandag, and the surrounding villages and tent settlements are under siege by the army. Reports coming in from the area stated that the soldiers have complete control of the meager water resources and have blocked all access to the local population. The livestock has been confiscated in the service of the soldiers and a large number was slaughtered to starve the inhabitants. Sources mentioned that people are not allowed to leave their homes even in case of a medical emergency. There have been reported incidents of artillery fire directed at the civilian residential areas while gunship helicopters hovered over the towns. According to witnesses, incidents of aerial bombardment of villages have taken place and the fear of casualties is growing, complicated by the military blockade and denial of access to media and medical personnel. An unconfirmed number of youth has been taken away by the soldiers and their whereabouts are yet unknown. So far, names of two abducted persons have been confirmed, which are Mr. Sadiq Ismail, resident of Bal Negwar near Turbat and Mr. Shehak, resident of Gwarag. BHRC urgently appeals to all international human rights bodies, the U.N., the European Parliament, the international media, and the world community to take urgent notice of the atrocities committed by the Pakistani army against innocent civilians in Dasht, Makaran and elsewhere in Balochistan. The slow motion genocide of the Baloch nation has to be stopped immediately by forceful intervention of world bodies. Pakistan is the country that gives national security experts around the world nightmares. Pakistan is a country with an unstable and irrational history- Pakistan is a country that harbors Al-Qaida and its radical Islamic cells- Pakistan is a country with a notorious intelligence service which pampers Taliban- Pakistan is a country whose army's very anthem is to become the mercenary of the Islamic world right from the River Neil to Kashagar(Uyghur) China. It’s a country whose notorious nuclear missiles are named after the Islamic invaders who came from Central Asia to invade India. And if you want to put some more spice into this, it's a country with a nuclear arsenal. 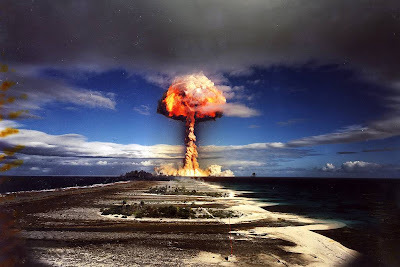 The security of this nuclear arsenal is one nightmare, the using of these nuclear on the nonbelievers and non Muslims is another suffocation and walmartizing and retailing of these nuclear arsenals to the rogue counties like Iran, North Korea and Libya is an imminent material danger to the world peace. Abdul Qadir Khan, the father of the Pakistani Islamic nuclear bomb and a close friend to Ahmadi Nejhad and the notorious ISI, while running Pakistan’s nuclear programme, became a millionaire by selling atomic secrets to Libya, Iran and North Korea. He also used a network of companies in America and Britain to obtain components for a nuclear programme. As per Time magazine, in the early 2000, Qadir Khan caused an alert among western intelligence agencies when his aides met Osama Bin Laden. Sources confirmed that Saudi Arabia, that provides ideological premises to the radical Islam, has financed this Nuclear bomb and is the only country that is allowed to make frequent visit to Pakistan hidden nuclear sites. Beside all of the above Islamic adventures of Pakistan Army, these atomic blasts had left permanent scars on Baloch history. It was Twelve years ago on May 28, 1998 when peace in the Pakistani occupied Balochistan was brutally shattered with a nuclear blast. The Islamic fundamentalists and their uniformed brethren, the Pakistani army, rejoiced the testing of the first Islamic bomb. The foreign minister of the Islamic Republic of Iran sent his greetings to the Pakistani government of the time while the world leaders were shocked and pleaded for sanctions against Pakistan. This event was followed by further tests in the Chagai district of Balochistan devastating all life form including the livelihood of the nomadic Baloch tribesmen who were forced by the army to leave their ancestral lands to roam the deserts with their herds and tents. The physical and psychological effects on the people of Chagi Balochistan where these atomic test occurred are limitless, both in scope and time. After the nuclear blast, at miles, several people were burnt; people bled, people blinded, their burnt dead bodies were confiscated by the local Army Chief and declared that they died in heat, but very next day people found several burnt dead bodies of camel, as if camel dies in heat too. In the last twelve years, Balochistan has become Pakistan’s frontline testing ground for advance nuclear warhead carrying missile technology borrowed from China and North Korea. The WMDs being developed in Pakistan today are part of the Chinese hegemonic design of expansionism in the region to control the energy centers, which include the Deep Sea Port Development of Gwadar in Balochistan, the gateway to oil and gas reserves in Central Asia and the Middle East. The local inhabitants of Balochistan are being forcefully displaced and slaughtered through a brutal military operation so that their resources and land stays in the hands of the Pakistan Army for exploitation and military adventures. Islamic Republic of Iran's threat to world peace is far more than a mere rhetoric. Islamic Republic of Iran’s continuous effort to possess the capability to enrich uranium to the level needed for military purposes and Pakistani Army’s secret help in passing the Nuclear Technology is an imminent fact. This time it will be Islamic Republic to test its nuclear capability, and the venue will be Iranian Occupied Balochistan. The world will just accept this Nuclear Iran as a brutal reality as they did with Pakistan. Today the temperatures had plunged by about 2 degrees Fahrenheit (1.25 degrees Celsius) over a large area in Chagi District, the faces of inhabitants have turned pale, women giving birth to blind children, people are dying of unknown diseases, the whole area had been contaminated. No independent study has been conducted to calculate the disastrous consequences of this catastrophe caused by this Islamic Bomb. This is the day when rest of Pakistan is on street rejoicing the Atomic Bomb but eyes of Baloch is full of tears and Baloch mourns today. Dr. Zaffar Baloch, the president of BHRC, has delivered his speech in a conference called “Mining (in)justice: at home and abroad” organized by Community Solidarity Response Toronto (CSRT), it has being held in Toronto-Canada from May 7-9, 2010 at the Earth Sciences Building – University of Toronto. There cannot be a human rights violation greater than the enslavement of a people. All the categories of rights and freedoms are lost or snatched away with a single stroke. Such is the plight of Baloch and other stateless nations, subjugated by colonial powers in the past centuries, our forced acculturation, and our annexation into alien political states. The process of loss of nationhood and its rightful place in the world community is a painful experience that lives on in our collective memories. Independence for the Baloch people cannot be simply related to the nation’s socio-economic development, it also addresses the very core question of survival as an historical entity. Multinational corporations such as Barrick Gold, Tethyan Copper and Antofogasta Minerals have signed agreements for exploration and mining in Balochistan with the new colonizers based in Islamabad, turning a blind eye at the gross human rights violations committed by the state forces against the indigenous Baloch people struggling for sovereignty over their land and resources. The greed for power, gold, and vast deposits of oil and gas is turning Balochistan into a killing field fueled by the decades of political turmoil within the province and in bordering Iran and Afghanistan. It is a common practice of the international companies to sign deals with the military dictators in Pakistan for larger share of profits and convenient terms of agreement. The former military ruler, retired General Pervez Musharaf who introduced Barrick Gold in Balochistan is not just another dictator but actually holds the title of “butcher of Balochistan” for the atrocities he has committed in the nine years of his rule. In a public speech, broadcasted live by the state television and radio, General Musharaf, then President of Pakistan, threatened the people of Balochistan and said, “You won’t even know what hit you.” And he kept his word. Militarization and mining in Balochistan go hand in hand. At present, there are four mega military cantonments, 52 paramilitary cantonments, five naval bases, and six missile-testing ranges in Balochistan. The first nuclear test conducted by Pakistan on May 28, 1998 was in Ras Koh Mountain, merely 15 miles from Reko Dik where Barrick Gold is involved in exploring copper and gold. 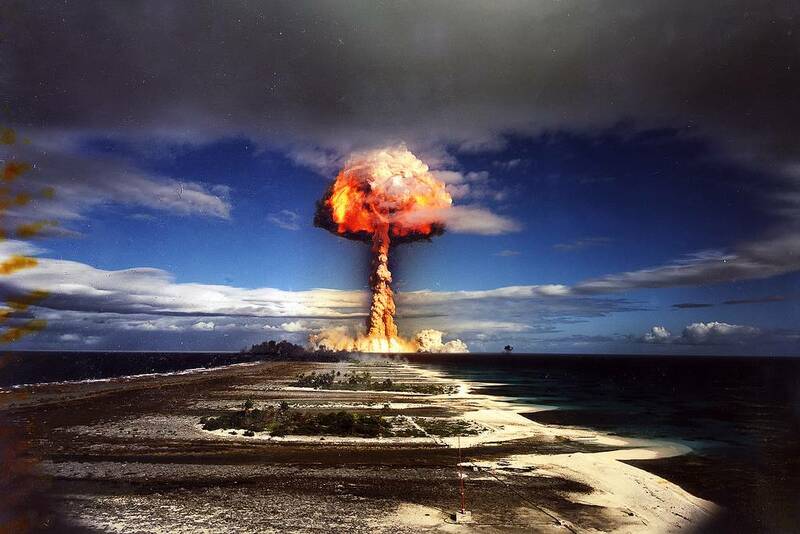 The second and third nuclear devices were tested in the same area of district Chaghai only 60 miles from Reko Dik. Just imagine the devastation already done by the nukes that will be further complicated by the pollution caused by cyanide and arsenic used in mining. As for any kind of impartial investigation to measure radioactivity in the area or pollution caused by mining – the military has declared it a “sensitive strategic zone” where civilians are not permitted to enter. Therefore, the whole Barrick Gold saga in Balochistan is hidden under a thick military blanket with maximum protection. In fact, a testimony of a local physician was published by a foreign journalist on March 3, 2010. The doctor told the interviewer that following the nuclear tests, three scorched bodies of local shepherds were found in the wilderness. The police took charge of the bodies and stated that the cause of death was heat stroke. Next day, reports came in of several dead camels in the same vicinity and nobody believed that a camel could die from heat. And if you think that the nuclear tests and copper and gold mining in Reko Dik are not enough to pollute the land of district Chagai in Balochistan, welcome to Saindak copper and gold project, located 189 miles from where Barrick Gold is digging for gold. Saindak project is a Chinese investment who now is also interested in buying Reko Dik mining lease after the cancellation of the agreement with Barrick Gold. Negotiations are underway between China’s state owned Metallurgical Group and Islamabad. Since, this Chinese company is already developing the Saindak copper and gold project and China being the largest supplier of military hardware to Pakistan after the US, this could possibly materialize with the blessings of Pakistan’s Chief of Army Staff, General Ashraf Kayani. District of Chagai in Balochistan is 50,545 sq Km with a population of 250,000 according to a 2005 estimate. Chagai is an arid zone and faces acute shortage of water. Like the Saindak project, the expected mining operations in Reko Dik will depend on sub-surface water mainly used by local inhabitants for personal usage and for their animals and farming. The local natural resources of water seem barely enough to sustain life in the area and to support the operation of two copper and gold mining projects, a large quantity of water needs to be fetched from far off places and stored in reservoirs. At present the Saindak project is supplied water from a dam, which is located approximately 2 miles from the site. There are plans to build another dam for Reko Dik about 48 miles from the mines. It seems that the state of Pakistan wants to make sure that in case the people of Chagai survive radioactive and chemical pollution, they should certainly die of thirst. To sum up the ordeal of the people of Chagai and the rest of Balochistan; there is an ongoing brutal military operation, 250,000 have become internally displaced, torture and extrajudicial killing of activists is common, more than 8000 have been forcefully disappeared by the security forces, and there is no salvation from being crushed by the state’s military on one hand and by the so-called mega development projects on the other. People of Balochistan do not seek justice from the state any more because they expect none. Today, after decades of struggle and hardships, the Baloch nation is beginning to realize from their collective experiences of history that ‘there cannot be justice without freedom’.